Crystal Hartman paints on a wall-sized canvas on a work in progress titled X at her home studio outside Durango. 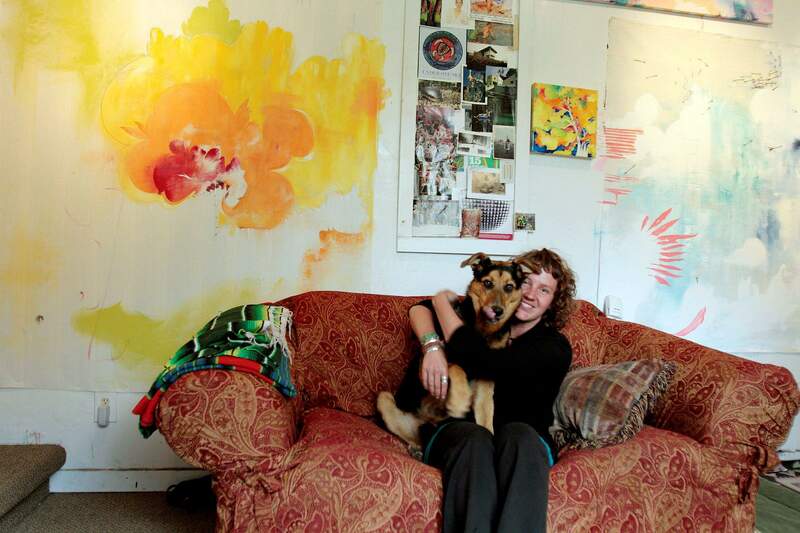 Crystal Hartman pauses between creations for a playful moment with her dog Lola-Honey Dew at her home studio. 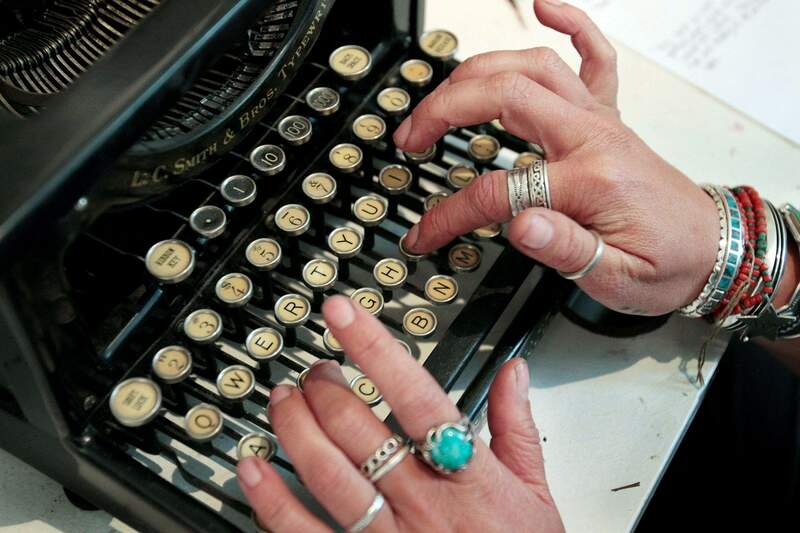 Crystal Hartman works on a book project titled The Poorest Florist on a vintage typewriter at her home studio. Crystal Hartman is an artistic force to be reckoned with, not just because of her command of numerous mediums, but also in her vast curiosity and where it has led her in life. Still in her 20s, Hartman has explored painting, printmaking, drawing, batik, sculpture, videography and jewelry. She is a single-speed bicycle fanatic, skis, has traveled through Argentina on a research grant and to Barcelona to study the architecture of Gaudi. She has spent considerable time in Thailand and lived in Bali as a youngster with her family. Hartmans parents, owners of Durango Silver Co., encouraged her and her brother Dillons creative interests and nurtured their talent as jewelry designers. As a high school student, her fascination with biology and relentless sketching of organic subject matter led her to intern with a plastic surgeon and eventually to enroll at the University of ColoradoBoulder as a pre-med student. 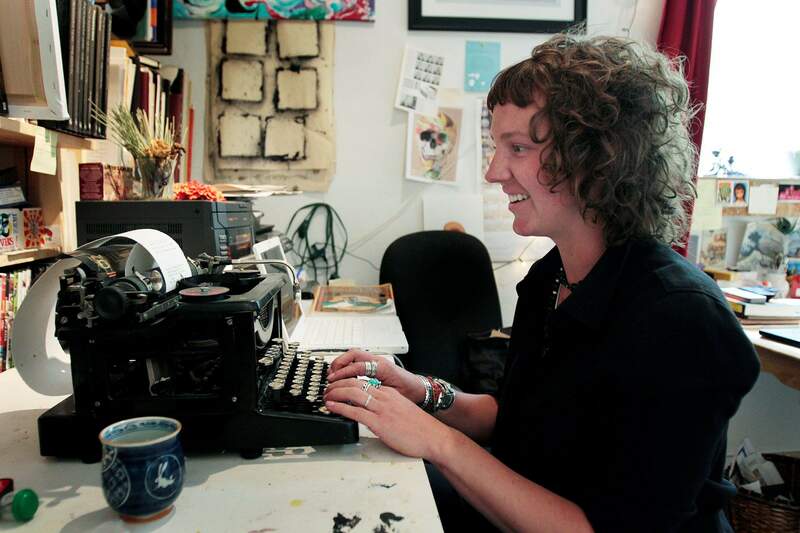 Her transition into full-time art grew out of an honors humanities program. I was exposed to printmaking and felt a kinship toward artists more than with doctors, she said. Hartmans art is distinctive, skilled and forever evolving. She constantly is experimenting and usually is involved in multiple projects at the same time, often in different mediums. Pausing momentarily between hyper-thoughts and a running stream of consciousness, Hartman reflected on her experiences. Linking the seemingly disparate disciplines of plastic surgery and printmaking, she gives an idea of how things have always tied together for her. Even plastic surgery, for me, is the ultimate form of sculpture, she said. Her imaginative exploration includes poetry and prose, and she currently is working toward a submission deadline for the Brooklyn Art Librarys Fiction Project, a touring sketchbook and written-word exhibition. And while that is in progress, she is pulling together a solo show to be held at the Rochester Hotel in October. Some locals, particularly artists, know Hartman as the creator/producer of the 2009 and 2010 Durango Open Studios tours. As monumental a task as that was, she pulled it off with aplomb. However, it kept her from pursuing her own art, and she since has relinquished control to Denise Leslie, publisher of Arts Perspective magazine. Although her intentions may seem fundamental, there is nothing simple about Hartman or her work, and there arent any pretenses, either. Each month, Herald contributing writer Stew Mosberg spotlights an influential member of the local arts community. 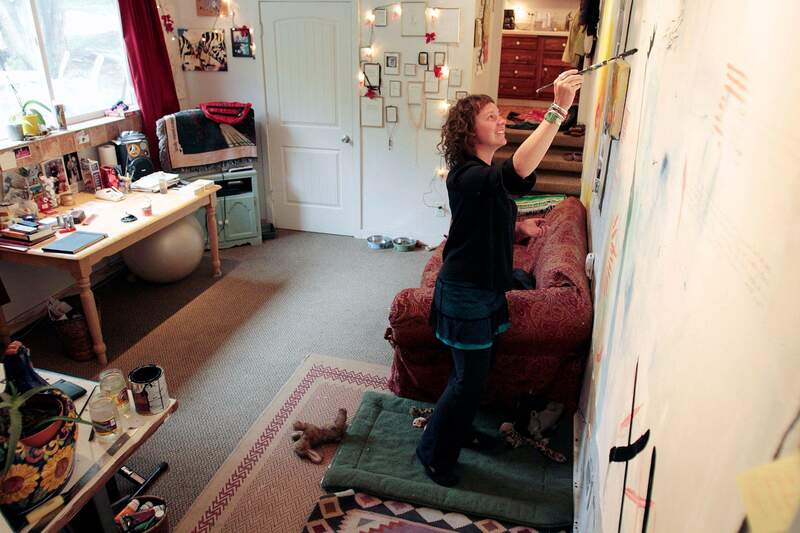 This months subject is Durango artist Crystal Hartman. See more of her work at www.crystalhartman.com.